Register to give us feedback, talk with other testers and stay informed about other testing opportunities. Give us your feedback on the products you have been testing using the form below. At the moment there are no products available in this category. All Beta versions are precursors of final products. They are intended for testing purposes and should not be run on production systems that contain important data. 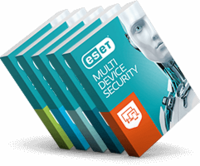 This software may not be used for comparative product testing, product reviews or benchmark testing without the prior written consent of ESET, spol. s r.o. Comprehensive protection with off-premise cloud sandboxing leveraging machine learning & behavior-based detection. Antispam, anti-phishing and Cloud Sandbox Analysis for the complete protection of mailboxes and mail servers. Cross-platform, bundled security solutions with complete server email protection. Business solution for superior and enhanced protection of an organization’s data and intellectual property. Bundled multi-platform security including firewall, antispam and web filtering. Download security tools, utilities and beta versions for free. © 1992 - 2018 ESET, spol. s r.o. - All rights reserved. Trademarks used therein are trademarks or registered trademarks of ESET, spol. s r.o. or ESET North America. All other names and brands are registered trademarks of their respective companies.